May is a lovely month. Just on the cusp of summer, it’s an exciting time of year. Here are some things to pass the time away while we anticipate the best season of the year. Whoops! This has been postponed and future dates will be announced in the fall — but we’re still leaving it up so you can put it on your radar for later in the year. Bring your Junior Mints to the third annual Fairhaven Short Film Festival taking place on May 5 and 6 featuring films collected by Asbury Shorts USA. Academy Award nominated director Jason Reitman (JUNO, Up in the Air, Thank You for Smoking) calls Asbury Shorts, “The best short film show I’ve ever seen.” Forget about watching these films on YouTube or your smartphone, enjoy them on the big screen at the Fairhaven Town Hall Auditorium. Sponsored by Howe Allen Realty and the Fairhaven Improvement Association, net proceeds will fund a scholarship for a Fairhaven student planning to study film and digital media production. For more information on the films or to purchase tickets, go here. A few years ago, the Trustees of Reservations bought the late Allen Haskell’s property right in the heart of New Bedford. Haskell was a lifelong New Bedford resident and a famed horticulturalist. The six acre property hosts a traditional New England style common, beautifully designed historic gardens and one of the oldest homes in New Bedford. Celebrate spring by dropping in on Tuesday mornings (through October) from 9 am to 12 pm to help tidy the garden and learn new skills. All you need are gloves and water — no previous gardening skills are required. For more information, click here. May 2, 9, 16, 23, and 30th, 787 Shawmut Avenue, New Bedford. We just formed our team for the Buzzards Bay Coalition’s annual Watershed Ride. We hope you’ll join us! It’s a beautiful course and the camaraderie among riders is pretty wonderful (the party at the finish line is great, too). 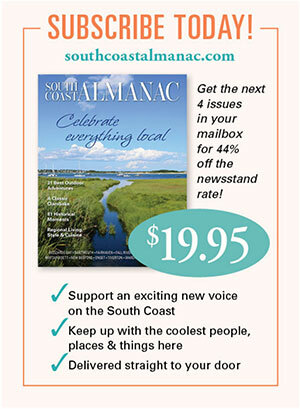 If you want to join the South Coast Almanac team, check it out here. Yes, yes, we know the ride is in October but we’re putting it on our May calendar as a reminder to dust off our bikes, get out there and train for it. 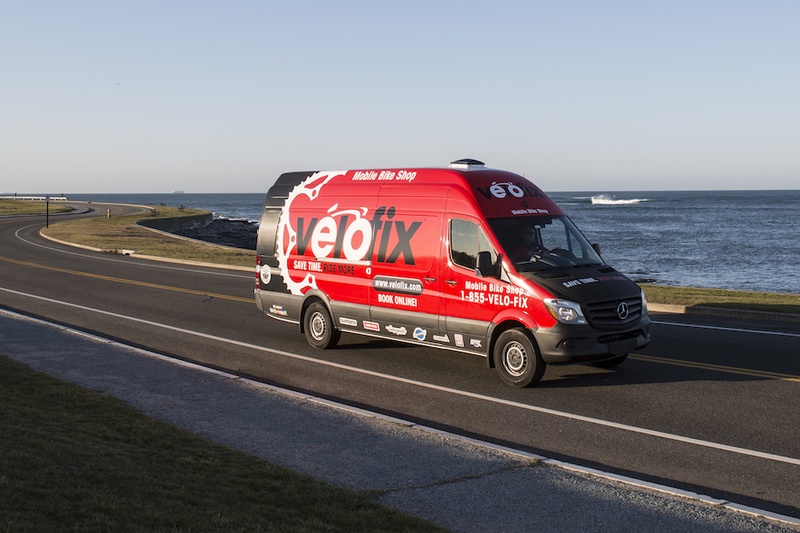 To that end, we just emailed Mike Lee of Velofix Southcoast. We met Mike at the Watershed Ride last Fall where he handled bike support and were blown away with his mobile bike repair van. When we learned he’ll come to your home or office with his mobile van to tune up bikes, we took his business card. And didn’t lose it. Thanks to Mike, there really is no excuse for not getting your bike in shape for the season. Check Velofix out here. The Dartmouth Natural Resources Trust (DNRT) has a couple of cool (and free) walks happening in May. First, a full moon walk on Wednesday, May 10 at 7:30 at Slocum River’s Reserve where two DNRT members lead an exploration of the evening landscape. The walk lasts approximately an hour and the DNRT suggests a flashlight or headlamp to help navigate the trails as the moon rises and sun sets. If the weather is questionable, call 508-525-9266 or check here on the morning of the walk. And throughout May, families can enjoy StoryWalk® which celebrates nature and reading all at once (how many events can boast that?). Paskansett Woods features “Watch the Birdie” by Nancy Cote (featured in the 2016 South Coast Almanac) and Ridge Hill Reserve features “Feathers for Lunch” by Lois Ehlert. Walk the trails and read the story with the family during the whole month of May. See more here. We’ll have a blog post coming up on this as we get closer to the date because this is more than a tent sale. It’s a great story. The semi-annual sale draws people from all over the country (no kidding!) and has the festive aura of the old Filene’s Basement Wedding Dress sales. Whether you need a handbag or not, you shouldn’t miss it. May 19 and 20, 9 am to 6 p.m and May 21, 10 am to 5 pm. 77 Alden Road, Fairhaven. Tent is located on the lawn next to the Standard Times parking lot. See the Facebook event listing here. On May 18, we officially launch the 2017 edition of our print magazine. On the 18th, copies will be on their way to our subscribers’ doors and trucks will be delivering them to newsstands all over Massachusetts and Rhode Island. Keep your eye out for it! If you want it delivered straight to your door for 30% off the cover price, you only have a few more days to pre-order. After that, we have to raise the online price to the newsstand price. Why do we have to do that? Because we give our mailing list to the printer soon. After that, we lose out on bulk mailing rates from the printer which means hauling copies to the Onset post office and sending it off by priority mail. If you decide to preorder the issue, we pass the savings straight along to you — because we love our subscribers. If you want to join their ranks, click here. In the meantime, stay up to date with South Coast events, stories and best-kept-secrets by signing up here. On the first Monday of every month, the Airport Grille at New Bedford’s regional airport hosts the Southcoast Jazz Orchestra. It’s been on our To Do list for a while and this seemed like the right week for it. These short days after daylight saving time are always sobering. And they are especially jarring this week with mild sunny days that abruptly end in the afternoon. The temperature outside just doesn’t seem to reflect the hunkering down aspect of the season. The Airport Grille was the perfect place to spend last night to banish the darkness with style. Small groups, large groups, couples all added to a cheerful atmosphere. “Is it always this crowded?” I asked our waitress. Ah, right. We had come for the food (because we’re working on the restaurant guide for the first issue…it’s heavy lifting but we’re serious workers) but also to see the monthly jazz sessions that we’d heard about. We arrived before the band and ordered the seared scallops and lobster mac and cheese. The mac and cheese arrived in the most impressive display we’d ever seen. Then the band began to assemble. It wasn’t simply a jazz trio or quartet. This was a 17-piece orchestra. Even writing “17” doesn’t seem to adequately reflect how big this band is. And when they began to play? 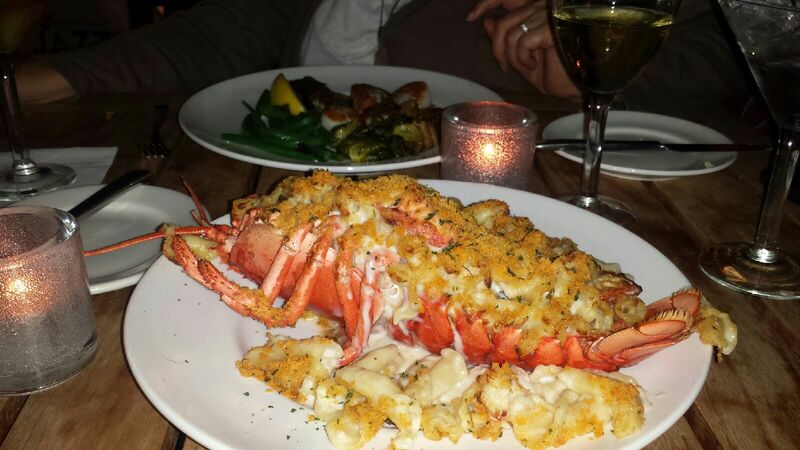 Everything else that was important (the perfectly cooked scallops, the large chunks of lobster floating in the creamy mac and cheese) was a footnote. What a treat to listen to this band. Don’t go to this dinner with an old friend who you haven’t seen in years. 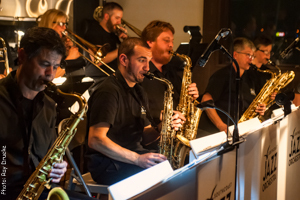 Once the Southcoast Jazz Orchestra begins, you couldn’t care less what your old friend has been up to — you’ll just want to pay attention to the music. It’s great theater to watch a band this big: all of the different personalities melding together and sometimes splitting apart to create their music; the gleaming trumpets, trombones, and saxophones all lined up, the audience’s attention focused and rapt. It makes you want to learn how to play an instrument and join in. It makes you think about making a reservation for next month’s session. It makes you wonder about throwing a party for the Southcoast Jazz Orchestra to perform at. 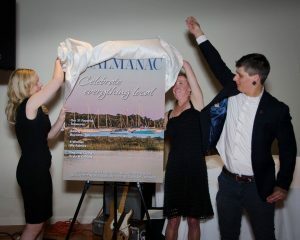 Like, say, a magazine launch party? Like, say, in May?